With advocacy issues at the forefront the past few weeks, what comes from “my desk” has been focused on the challenges you will be facing in the coming months – and while very important, I took some time this week to celebrate a few of the great things happening with our members. I can’t say enough about the amazing patio at Signal Brewing Company – the fact this is walking distance from home is an absolute bonus for me – but Belleville has needed something more on the water for far too long. Congratulations, Richard Courneyea – you’ve pulled this together and the beer is good (great! ), too! Tom Lafferty – haven’t been to your patio yet but excited to see you bring some cheer to the Downtown – this will no doubt make shopping a much more pleasurable experience… on my list next week for sure! The Belleville Senators announced their concession partnership with Spectra Comcast by Spectacor. I must confess, I mustered up some rah-rah for my son when he played hockey, and I get excited when a Canadian team makes it to the play-offs but at Wednesday’s announcement – I think I caught the bug and I’m glad we got our season tickets early. The AHL is going to bring something special to our region. And the food we tried on Wednesday was awesome! 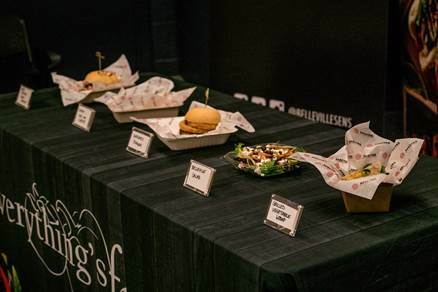 I so appreciate they will use local products where possible and the menu items such as the Yardmen Burger and Belleville salad – they work! 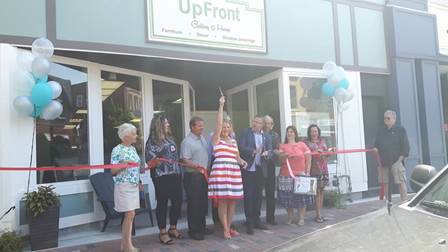 Dianne Bartlett opened the doors to her dream come true – a storefront downtown at 313 Front St. – showcasing her Inside Design business “Upfront Gallery & Home Store” – congratulations and all the best! 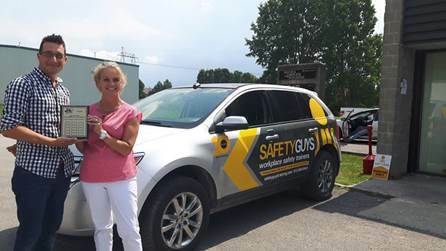 Rosi & I presented Chris Blackburn at the Safety Guys Workplace Safety Trainers with their new membership plaque and got an update on a number of mandated training requirements – we hope to bring more of that information to you soon! And we spent some time with Ruth Estwick of the QHBA – as we develop the details of our community partnership. We often share advocacy platforms so it’s great to build this relationship on behalf of both our memberships. The Safety Guys & QHBA are located on the south end of Hanna Court (off Bell Boulevard). 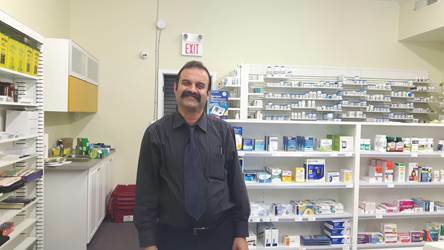 Rosi also stopped in to see another new Chamber member, Wajid Khan, now owner of the Village Pharmacy (you might recognize him from his 16 years at Dewe’s). He chose the downtown for his entrepreneurial venture in April 2016 due to the survey results indicating the need for a pharmacy. All drug plans accepted and he offers free in-town delivery. That’s just a glimpse of what’s going on out and about with our Belleville members. 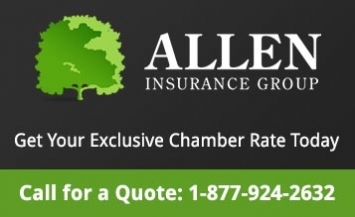 Stay in touch regularly with Facebook, Twitter & Instagram! Don’t miss the rest of the e-News for a number of upcoming events – including a couple of mingles and another advocacy discussion with OCC Karl Baldauf – August 18 in Trenton. Would you like us to stop in and catch up? Just drop me a line – would love to hear how we can help!